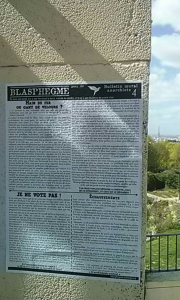 Texts translated from issue 5 of Du Pain Sur La Planche , published in March and distributed in the streets of Marseille. 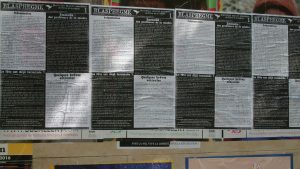 The first text is a short but incisive critique of liberal anti-gentrification organizing that seeks to set out a positive local identity that needs to be protected from change (which, under capitalist social relations, can only be a lie); the second is a reflection on the role of the welfare bureaucracy in building a docile workforce and maintaining social peace. 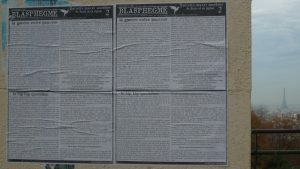 Translator: Text from the April 2017 issue of Canons Rompus, a revolutionary anti-war journal published in France. Not tied to a specific ideology, this journal engages a critique of the state by analyzing the role of the military in politics, society, and the economy. This text is interesting in that, departing somewhat from their usual anti-war stance, it appears to say that the Russian withdrawal from World War 1 represented an abandonment of internationalist principles and led to the consolidation of the Leninist “revolutions are the internal business of states” ideology that continues to operate today (in the pro-Assad opposition to the Syrian revolution, for instance). Exactly one hundred years ago, in March 1917, the Russian revolution began.